A healthy pregnancy diet is vital to a healthy pregnancy term. Nutritious pregnancy food is abundant. However, in addition to foods that are healthy, expecting mothers should be aware of those certain foods that should be avoided completely. All meat should be cooked thoroughly to ensure no bacteria is present. Rare beef or undercooked poultry can contain salmonella or coliform bacteria which can cause sickness. Listeria is a bacteria that can be found in deli meats, hot dogs and meat spreads. 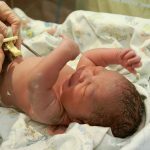 Pregnant women have a higher risk of getting listeriosis caused by listeria. Listeriosis can result in flu-like symptoms in the mother, but can lead to infection, miscarriage or serious health problems for the child. 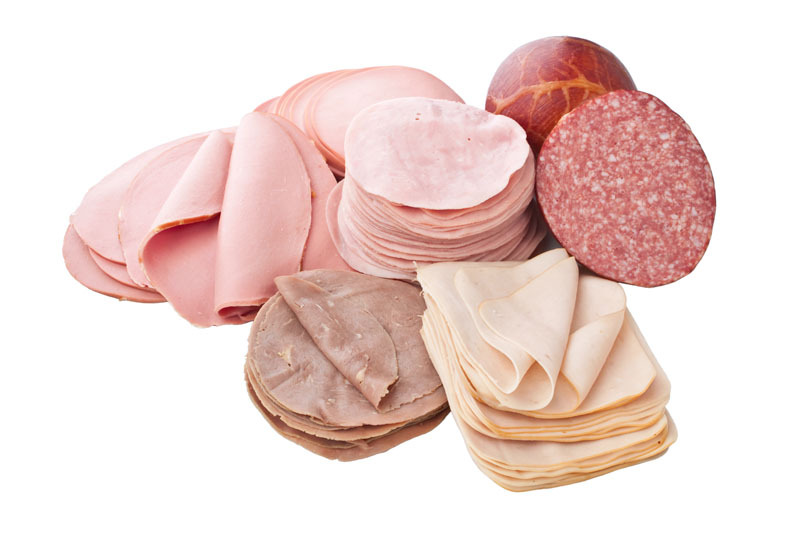 Deli meats and hot dogs need to be heated before being eaten. Raw eggs or partially cooked eggs can carry salmonella. This includes homemade foods made from raw eggs like mayonnaise or custard. Products like raw cookie dough should not be eaten. Eggs should be cooked so that the yolk and the white of the egg are firm and no longer runny. Listeria can also be found in unpasteurized (raw) milk products and soft cheeses. Raw milk should not be consumed. Brie, feta and gorgonzola are examples of soft cheeses that should be avoided. 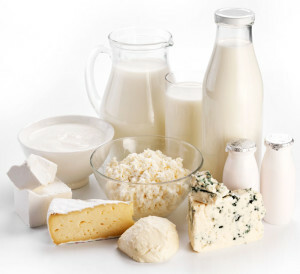 When eating cheese make sure it is made from pasteurized milk. Unpasteurized juice can also contain bacteria such as E. coli, a common cause of food poisoning. Fish with high levels of mercury need to be avoided. King mackerel, tilefish, shark and swordfish have higher levels of mercury than other fish. Canned light tuna is thought to be safe, but mercury levels can vary from can to can so moderation is required. Smoked seafood found in the deli section can also contain listeria. It can be labeled as jerky, kippered, lox or nova style. Canned smoked fish is considered safe. Raw shellfish such as mussels, clams or oysters can carry bacteria and should be cooked correctly. 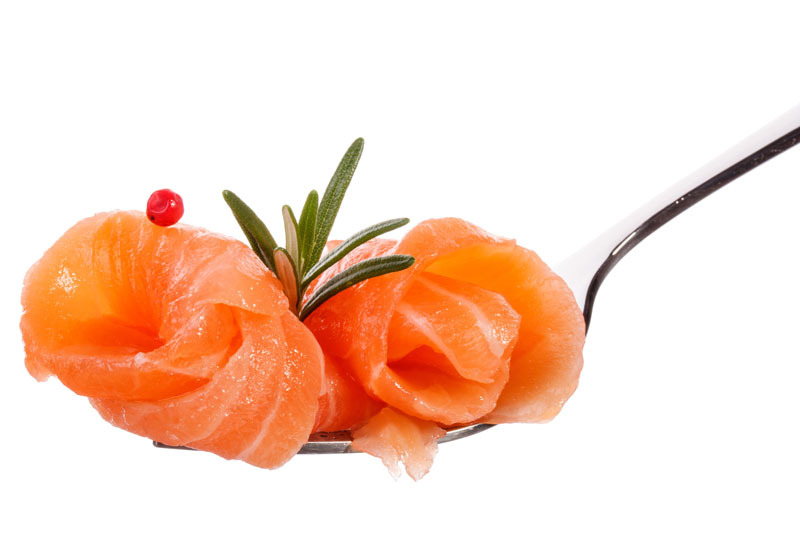 Uncooked fish such as sushi should be avoided in most cases. 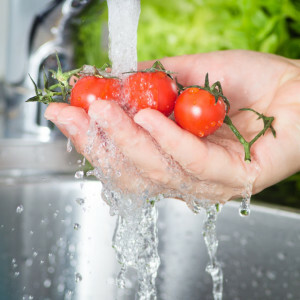 Fruits and vegetables are essential to all diets, but care should be taken to wash them thoroughly to be rid of all bacteria. Eating unwashed vegetables increases the risk of exposure to the parasitic disease known as toxoplasmosis. Toxoplasmosis can sometimes be found in the soil where vegetables are grown. The parasite can cause serious illness in those with a weakened immune system such as pregnant women and can sometimes be fatal. Raw sprouts, such as mung bean sprouts, are difficult to clean completely and should be avoided. It has been debated on whether caffeine is healthy during pregnancy. Caffeine is a diuretic which removes fluid from the body. 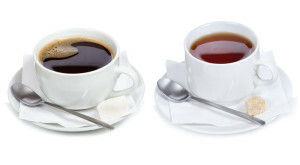 It is healthier to drink more water, juice or milk and refrain from consuming soft drinks, coffee and tea. Excessive caffeine intake has been associated with miscarriage. It is best to avoid caffeine during the first trimester. Studies show that moderate caffeine consumption (less than 200 mg per day) during pregnancy is safe. The safest route is to avoid caffeine in order to reduce the risk of low birth weight, premature birth and infant withdrawal symptoms. Not enough studies have been done to label herbal teas as completely safe during pregnancy. Some are thought to be safe, but it is best to consult a doctor for dietary specifics. Herbal supplements should be avoided. Many supplements contain stimulants or caffeine for a designated purpose such as energy or weight loss. Consuming alcohol while pregnant increases the risk of stillbirth and miscarriage. Numerous problems can arise from prenatal alcohol exposure. 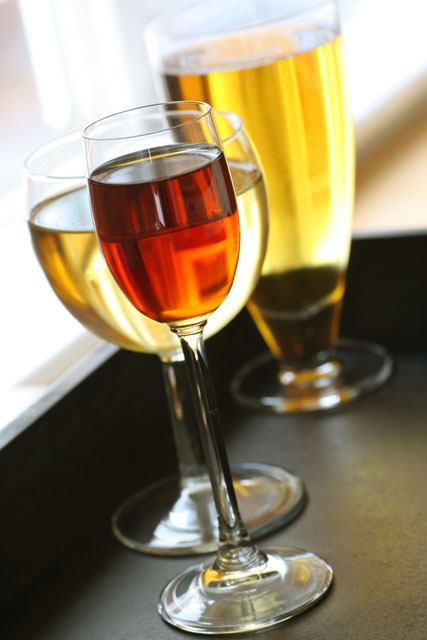 Alcohol can stunt fetal development causing physical and mental defects. Fetal alcohol syndrome is permanent damage to the central nervous system, including the brain. Damage to the brain can lead to intellectual disabilities and psychological problems. The brain is developing throughout pregnancy so alcohol should be avoided at all costs. For a healthy pregnancy always consult a doctor when unsure of what is safe to eat or if certain dietary guidelines need to be followed due to lifestyle or health. Healthy food choices during pregnancy are important to both the mother and the developing child.